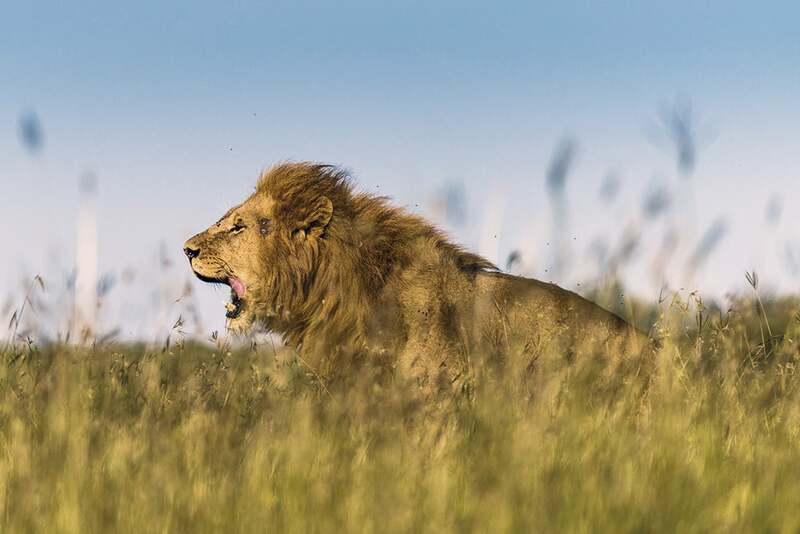 Is the Nikon AF-S Nikkor 80-400mm f/4.5-5.6G ED VR lens good enough for a once-in-a-lifetime photo safari, or did Phil Hall wish he’d packed something more exotic? 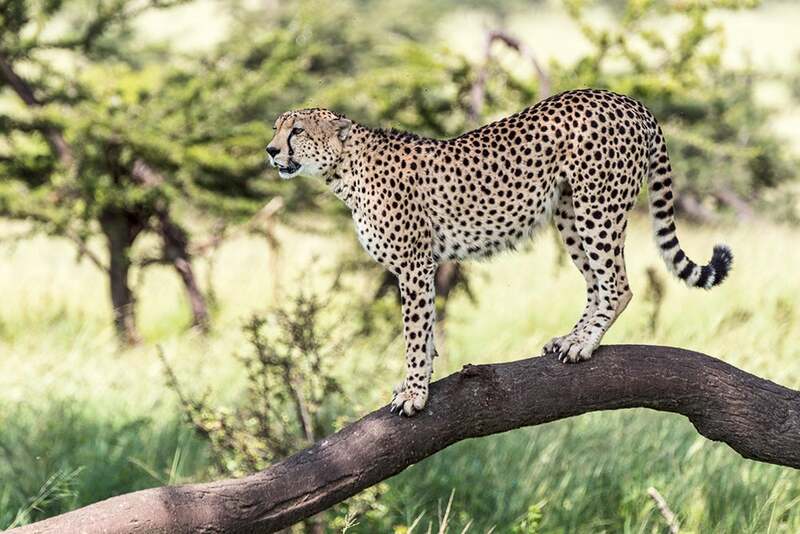 The Masai Mara Wildlife Reserve in the west of Kenya has rich vegetation and wide-open savannahs, which makes it one of the most prolific areas for wildlife in the world. 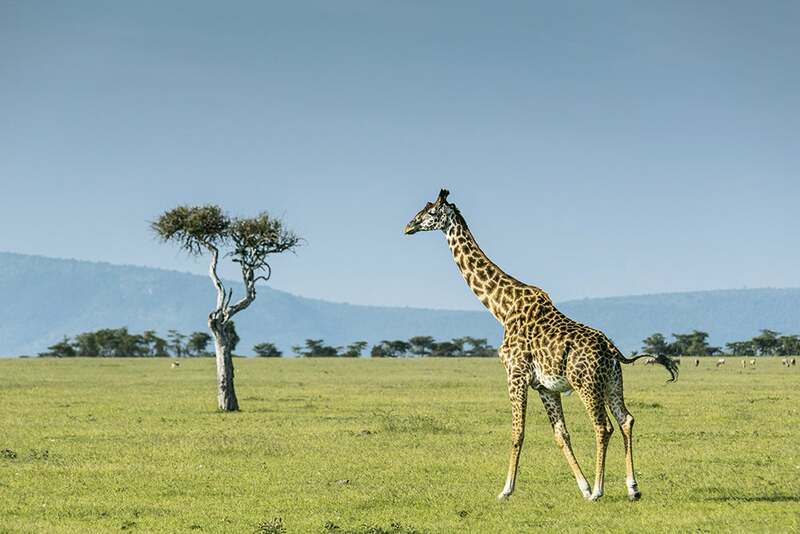 It’s a photographer’s dream, and when I discovered I’d be experiencing this fabulous place first-hand alongside wildlife photographer Paul Goldstein on a dedicated photo safari, I knew I had to make the most of the opportunity. Deciding on which camera to take was pretty easy, plumping quickly for the Nikon D810. However, deciding on my main lens proved much more difficult. My Nikkor 70-200mm f/2.8 wasn’t going to have the reach, so my mind naturally drifted towards some of Nikon’s exotic primes, like the 400mm f/2.8 and 500mm f/4. With prices running into five figures for these optics, there was no way I was going to be able to afford one, but for a fraction of the cost I could hire one for the week from a hire company like www.lensesforhire.co.uk. There’s no doubt that these are stunning optics that would be in their element out in the field, but having lugged a 400mm f/2.8 around with me at a premiership rugby match last year I know they’re back-achingly heavy. I also had to consider transportation – I didn’t want to take the chance of checking my kit into the hold on the flight, so my gear had to meet Kenya Airways’ hand-baggage allowance of measuring 55x25x35cm and weighing no more than 12kg. While there are some bags out there that would have done the job, getting all the other kit in as well as the 400mm would have been a struggle – even though the weight limit would easily have been met. After a lot of agonising I decided to drop the idea of taking a large telephoto prime and look at other alternatives, which led me to having to choose between the 200-400mm f/4 and the 80-400mm f/4.5-5.6. The 200-400mm is a cracking lens, but after a lot of deliberation I settled on the 80-400mm. 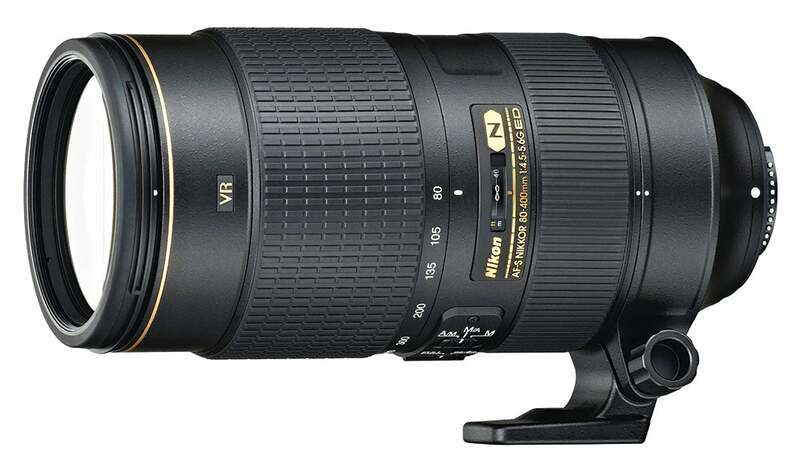 The AF-S Nikkor 80-400mm f/4.5-5.6G ED VR, to give it its full title, is the successor to the 13-year-old 80-400mm f/4.5-5.6D VR – Nikon’s first lens with Vibration Reduction. The wider focal range meant I could leave my trusty 70-200mm at home and happily pack just two bodies, the 80-400mm and 24-70mm f/2.8, into my Lowepro Vertex 200AW backpack without worrying about baggage restrictions. There was no denying the weight and versatility advantages offered by the lens, but had I put this at the expense of image quality, especially when combined with an unforgiving 36.3-million-pixel sensor? Flying in over the Masai Mara in our little 13-seat Cessna Caravan from Nairobi, we caught a glimpse of what lay ahead, with giraffes and herds of elephants roaming below us in the bush. 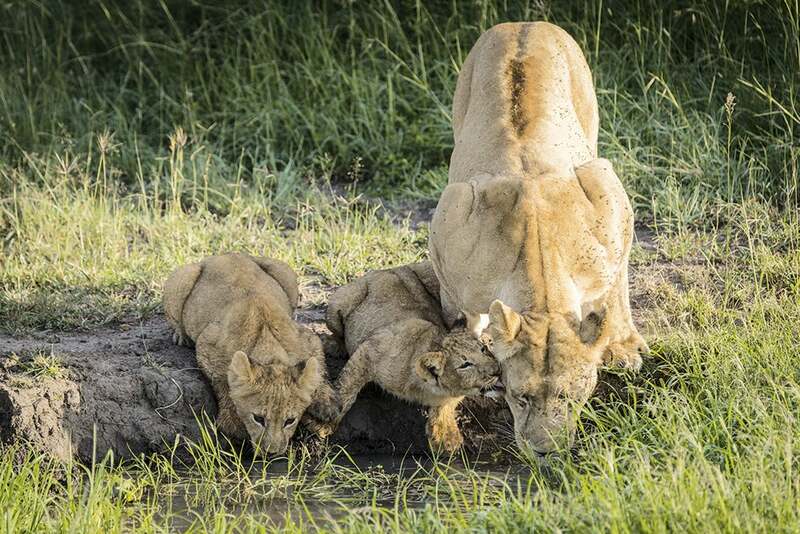 After being transported to our beautiful tented camp in the middle of the bush, we had just enough time to drop our bags and grab some lunch before heading out for an afternoon’s game drive – and my first chance to see how the 80-400mm lens stacks up. With three of us to each Toyota Land Cruiser, along with our guide/driver, we left the camp. My bag was down at my feet with the D810 and 80-400mm ready to go. I’d set my camera up with back-button focus – something I started doing a couple of years ago and it’s been a revelation. Rather than relying on focusing with the shutter button (which I’ve deactivated for AF and only triggers the shutter), I press my thumb down on the AF-ON button at the rear of the D810. With continuous AF set, I find it much easier to track a moving subject. It also means I don’t have to mess around switching to single AF for static subjects – I can focus on my subject, lift my thumb off the AF-ON button and recompose before firing the shutter. I chose the centre AF point, but to assist with moving subjects I opted for dynamic-area AF with nine points, so if my subject were to move out of the centre AF point the surrounding eight would be able to pick it up. As for the lens, I flicked the focus-limit switch over to ∞-6m from full to speed up AF acquirement. With our Land Cruisers equipped with plenty of beanbags to rest lenses on, monopods weren’t necessary (plus they’d get in the way). I opted to leave the VR mode set to normal, with active coming into play only if we shot from the Land Cruiser as it moved across the bush. 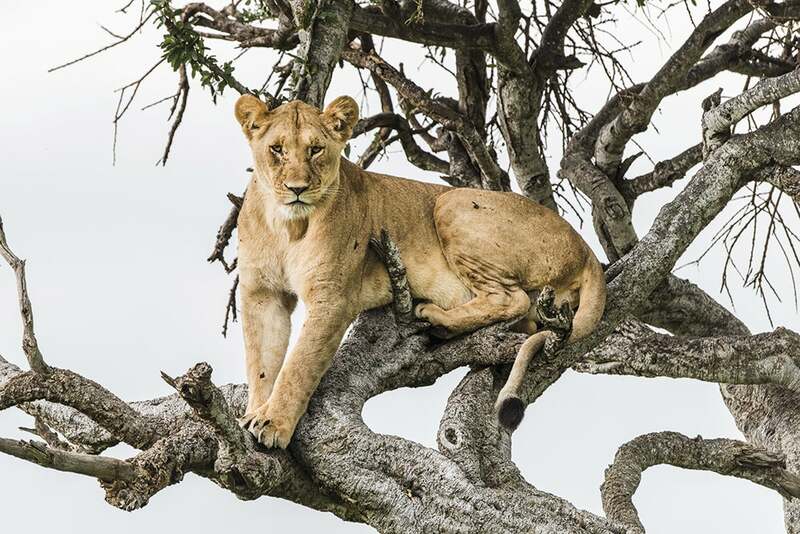 At about 3pm our Land Cruiser came to a halt 15m away from a lone tree where a lioness had decided to position herself halfway up – quite an unusual sight, by all accounts, but our guide told us that she’d done this to get away from the swarms of flies buzzing around the reserve. The rest of the pride didn’t seem as fussed by the insects, so were lounging on the floor beneath her, having fed earlier in the day. Standing in the Land Cruiser, I raised the D810 to my eye, twisting the zoom ring to 330mm to fill the frame with the lioness. A light touch of the AF-ON button saw the viewfinder snap into focus and I fired off a few shots. The results weren’t going to win any awards with the light as it was, but it was my first taste of shooting big cats on the Mara. It also gave me the chance to review the results from the lens and I was pleased (or should that be relieved?) to see that the images appeared nice and sharp – at least on the D810’s rear screen. With a storm approaching we continued on our game drive, but before long the heavens opened. Since our Land Cruiser was open-sided and sported two large roof hatches, we – and our kit – got soaked before we had time to pull the covers over. Thankfully, though, the 80-400mm has a rubber gasket seal on the mount for added protection, and appeared to be unscathed (although Nikon doesn’t make any claims to it being fully weather-sealed). Constructed from a combination of high-quality plastics and metal, the 80-400mm also feels nicely put together and tips the scales at just under 1.6kg. If I’m being picky, though, it doesn’t have quite the same bombproof feel as my 70-200mm f/2.8. Over the next three days I really had a chance to put the 80-400mm through its paces. The autofocus didn’t let me down at all. 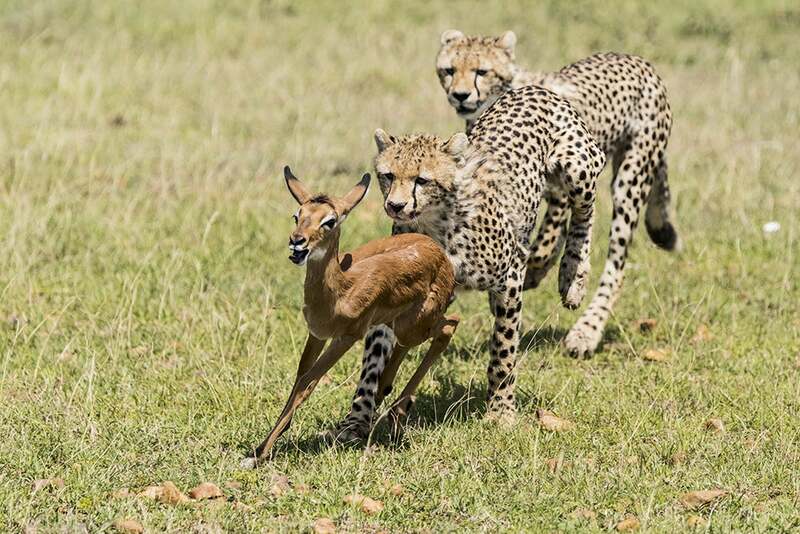 Even when juvenile cheetah cubs were chasing down an impala fawn, it didn’t miss a beat and tracked the fast-moving subjects with incredible precision. It also did a fantastic job in low-light conditions – early starts and late finishes were a common theme each day, and the D810 and 80-400mm combination meant I didn’t experience any hunting. While Paul encouraged us to use the beanbags for support, the 80-400mm was easy to handhold and, to be honest, I preferred the freedom it offered. While I could quickly move position as the action unfolded in front of me, it also meant that my ability to zoom through the focal range wasn’t impeded by resting the lens on the bag. While I aimed to shoot at shutter speeds above 1/500sec on most occasions, there were times when I had to rely on the 80-400mm’s VR system to counteract any of my movement as the light dropped and I was forced to extend the shutter speed. There’s no disputing the 4-stop improvement it offers – a massive improvement on the 2 stops delivered by the original lens – but while it’s possible to shoot as low as 1/25sec and still achieve sharp results, you have to be mindful that movement from your subject could become an issue. Once back at camp in the evenings, before a well-earned beer or glass of wine around the camp fire, I had a chance to review my images on a larger screen and have a tinker with them in Lightroom. Wide-open at 200mm the lens does exhibit a bit of fall-off in edge sharpness, but stopped down a stop or two images become edge-to-edge sharp. At 400mm the edge sharpness does suffer a little more, but not so much that it becomes detrimental to the image, and the centre is pin-sharp. Vignetting is a slight issue when shooting with the lens wide-open through the focal range, though, so I found it worthwhile to select the relevant lens profile in Lightroom to correct for it. This also revealed very minor pin-cushion distortion at higher focal lengths, but again, this is easily remedied. There’s not much to fault on the 80-400mm lens, but there are a couple of things I’d like to see refined. First, and it has to be said that I didn’t have any need for it while I was shooting, the tripod collar appears too small for the size of the lens it needs to support. I’d also like to see Nikon take a leaf out of Canon’s book when it comes to the lens hood. While shooting alongside photographers who had Canon’s latest 100-400mm, I noticed they could happily adjust the position of their polarising filter through a little sliding opening on their lens hood, whereas I either had to leave the hood off if I wanted to use a polariser and work quickly (it would have been a bit impractical to keep attaching and detaching the hood), or not bother with the filter at all. To be fair, though, that’s not unique to the 80-400mm. While there’s no question that the pricier optics in Nikon’s range would have delivered the goods, the perfect blend of performance and size makes the 80-400mm lens hard not to like. With space at a premium, it didn’t take up masses of room in my bag or in the back of the Land Cruiser, while its relatively compact form factor meant I could lug it around and position it quickly. I’ve got no issues with the AF, either, as it’s fast and accurate, performing well in low light and backlit conditions, while the tracking is quick enough to ensure that I didn’t miss any of the action. Combine that with the excellent VR system, smooth handling and solid finish, and there’s a lot to like. As far as image quality goes, I was pleasantly surprised. The images weren’t perfect, but considering the lens covers a 5x zoom range it’s very impressive, especially when you weigh up its cost compared to the other alternatives. So, after agonising about which long lens to take with me before I set off, I didn’t regret my choice. In fact, I should probably have worried more about the second lens I took, as I found the 24-70mm not quite wide enough for those large skies and wished I’d packed a 16-35mm instead.